will definitely be having a bash on woolworths if IG will take the bet. Wesfarmers recently spun out Coles to its own stock. Both Coles and Woolies focus on consumer staples ala Sainsburys. Whilst Aldi have a foothold there are not many other big food discounters so the big 2 will maintain their dominance for the foreseeable even as discrectionary spending is turned off. Both have highly profitable liquor arms who will likely do ok into a depression. 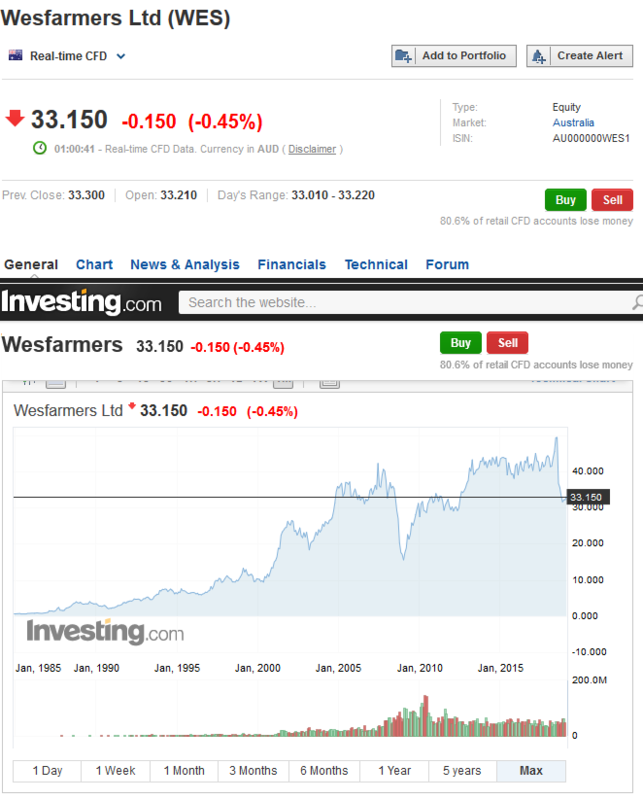 Wesfarmers own Bunn8ngs which will be in a world of pain however again with the demise of Masters they have market dominance so will control margins even if demand and/or the currency crashes. 2 sides to ever coin. I dont hold any aussie shares. I think there will be better shorting opportunities personally, check out AHG for example. Shorters wouldve made a fortune banking against mortgage brokers last week (see mortgage choice for example). 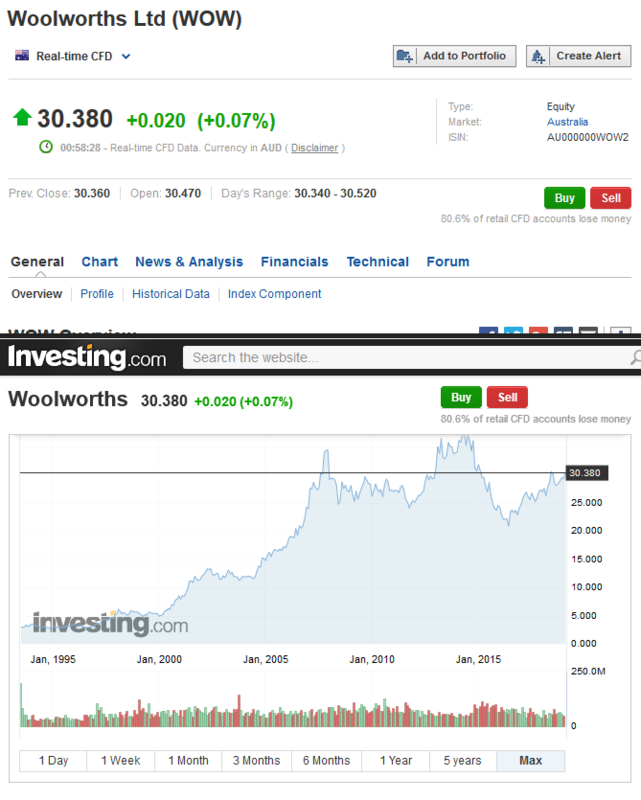 Thanks for the heads up.Woolies look an ok punt from a chart point of view but not compelling.Wesfarmers too. Mortgage choice look doomed.Any Aussie credit card/housebuilder/fashion rertialer/airline names you can offer up is there? I really feel Oz is rolling over big tiem. And as ever.on the back of no IR rises. Lyft's revenues doubled in 2018 to reach $2.2bn, compared with $1.1bn in 2017, according to its filing with the US Securities and Exchange Commission (SEC). Tech bubble 2.0 anyone? $24bn with $0 profits. How do I place a short sell order? To open a short position, you simply place a sell order on a product in which you do not currently hold a long position. This service is only available for Active, Trader, and Day Trader profiles. Please be aware that we do not offer the ability to short US securities or Risk Category D products. We do offer the possibility to go short in US CFDs. Let's say, I short sell a share. Presumably, I need to have cash balance equal to its price at that point? Can I hold that short for a long time, topping up cash if the share price goes up before I close the short position? Let's say, I short sell a share. Presumably, I need to have cash balance equal to its price at that point? Can I hold that short for a﻿ long time, topping up cash if the share price goes up before I close the short position? You wouldn't ordinarily have to have cash equal to the share price. Think of it as a loan -- they'll happily loan you the share and you have to hold sufficient cash to cover a 'realistic range of price increase' (the margin). You don't need to 'top up' on price increases so long as you've got sufficient margin. The other thing is many people don't actually short 'properly' -- ie, they don't actually borrow the shares and then sell them on the market. Most people use 'betting' products like spread-betting to do the short. This is very useful in the UK as it is treated as betting and thus doesn't attract capital gains tax (also note losses can't be offset against CGT liable gains). Note that spread betting can be used to go long as well. From the point of view of 'holding the short', spread betters also charge daily (and are a bit expensive, but OTOH it is very easy to do). The vitally important thing to remember about shorting (and spread-betting as well, but with spread betting this extends to longs) is that the losses can very easily exceed the money you put down. Unlike with normal shares where you can stoically say 'the worst that can happen is I'll lose the investment I put into those shares', with shorting / spread-betting the worst that can happen is that you'll lose 10x or more of the punt you placed. So -- if you go down the shorting route (by whatever method) it is vitally important to set proper stop-losses (ie, an automated worst-case sell price that you set), and there's a very good argument for the use of a guaranteed stop-loss (because of the risk of a large change overnight). Technically speaking if you short a share you receive the money for selling it. You’ll need to borrow the share from a shareholder and pay them a loan fee as well as any dividends due. You can then put that money to use elsewhere. But I'll probably put more than enough cash in there anyway before I try any shorting. It's not very well documented but I guess that's a tradeoff for very low fees.